Basque country abounds with crazy breath-taking views that will make you want to stay there for forever. However, there is a place that,takes the lead in this matter: the Gaztelugatxe, a hidden Nordic heaven, must be on the top of the must-visit list of anyone who wishes to travel off the beaten path in the Basque country and adores spectacular views. Gaztelugatxe is a magical mixture of nature's art and human art: it consists of a small island connected to the mainland by a man-made bridge with 231 steps. The only construction existing on the island is a small chapel that dates from the 10th century - when you get up to it, you should ring the bell to make everybody else know that you've accomplished the challenge. 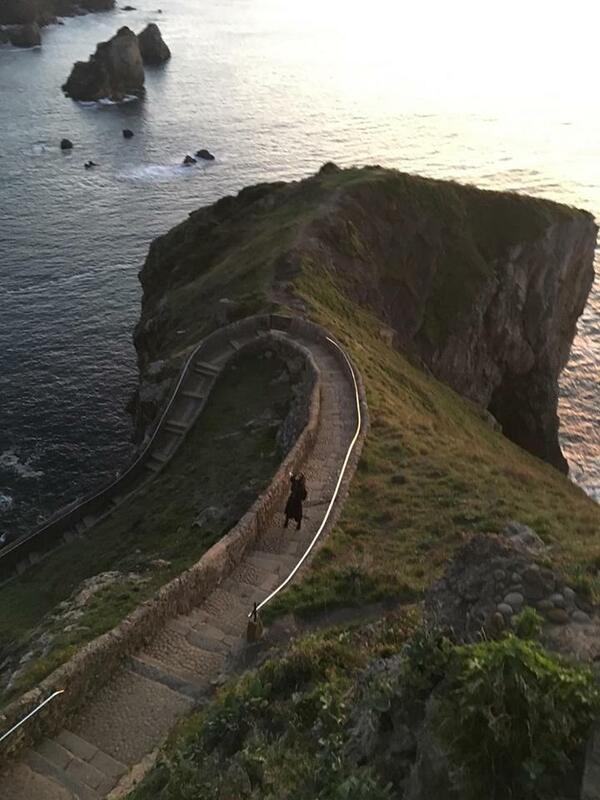 Beware that you cannot drive directly to the Gaztelugatxe – you can only reach the viewpoint, park the car there and go down by walk. After you have parked the car, you will see the signs that will guide you to the way down (1 minute from the parking area). From the viewpoint of the hikers the way up and down is really easy. However, if you are not used to hiking and doing lots of physical exercises, this can be a bit challenging, but not impossible :) Make sure you are physically prepared for that and don't take lots of things with you. Finally, if you have small kids, you will probably need to carry them in your hands (or shoulders :) at least 1/2 of the route up. Trust me, you will crave to have a sit for a while and treat yourself with some delicious Spanish food and a drinks. Luckily, right at the viewpoint and close to the parking there is an awesome spacious restaurant where you can sit both inside, and outside: at the terrace or on the balcony with an amazing view over the surroundings. As for the prices, they are not that high and you can get a big dish with meatballs and potatos & a glass of beer for around €8.